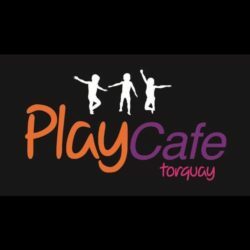 Play Cafe Torquay have chosen to support us for the next 12 months as their Charity of the Year, which is really exciting news! We held our first event there on Sunday 3rd July 2016 with a Children’s Summer Party where dozens of youngsters enjoyed letting off steam on the fantastic play centre, dancing to Clare Bell’s disco tunes and winning prizes through the party games. Peppa Pig, Skye and Chase from Paw Patrol and also Spiderman dropped in to visit and joined in, courtesy of Riviera Mascots and Bounce Torbay. Sian from Cute-ickle designs painted faces and arms for young and old! Stalls were provided by Gilly-Ann from Roxter Dreams, Simon Bonelle from Utility Warehouse, Lynsey with Jamberry Nails, Marie Box from Younique Luscious ladies. Lots of donations were made for our raffle, thanks to the Play Cafe, NCT, Roxter Dreams, Baytek, Kim from Sweet Beau Cakes and many more. We raised an amazing £292. Many thanks to all our supporters – parents, kids, stall holders, raffles donators, staff at Play Cafe, and volunteers, without you it wouldn’t have happened.